We went out to dinner on Saturday night, and were treated to a lightning storm that lasted our entire dinner, and an hour afterward as well! 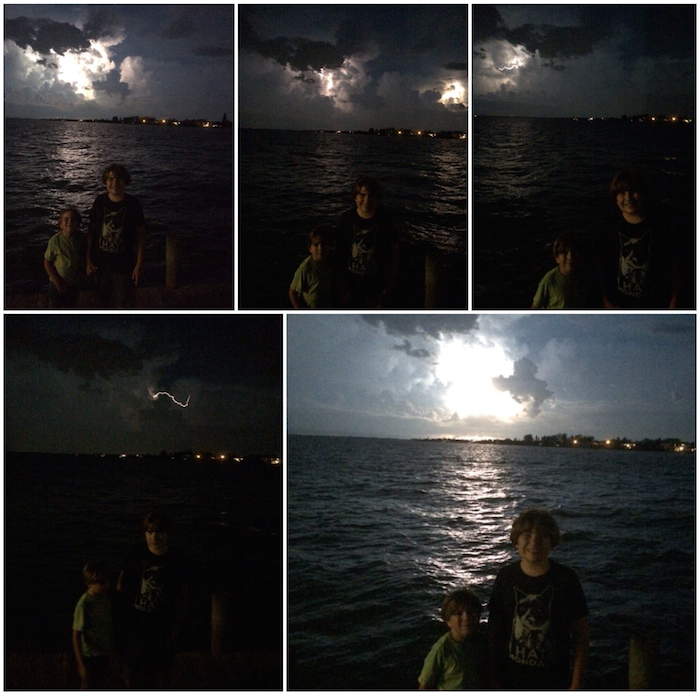 We ventured out on the pier after dinner to enjoy the show. Rather than describe it, I’ll share some photos. Don’t worry. It was far, far away. We couldn’t even hear any thunder. The boys were never in any danger.